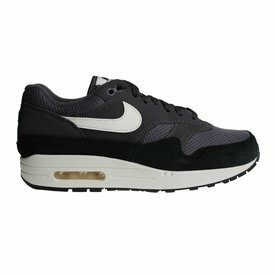 We have also the black version of Nike Air Max 1 SE with the separate tong inside! The midsole is released in white and the Nike swoosh is blue. Nike is for years the most popular brand of shoes and clothing in the whole world. The Nike Air Max 1 was the first released sneaker from the Air Max series. It was first created in 1987. It's old name is Air Max '87. At this moment is the Air Max 1 very hot amoung the sneaker lovers in Europe, especially in Netherlands and other Western European countries. The new shapes and qualities have also ensured the trend. As of 1 October 2019 the Nike Air Max One sneakers are out of production. The upper side of the front of this Nike Air Max 1 SE is made of textile. White with orange Nike Air Max 1 SE sneakers for men. The tong is released different than it usual is. A very nice shoe for the hot days! Restock of this green version of the Air Max 1 Curry series! Nike Air Max 1 Premium Retro "Green Curry" x Atmos sneakers for men. Exclusive! Purple Nike Air Max 1 Premium sneakers for men. The midsole/sole is released in off-white colour. The upper side is made of suede leather. 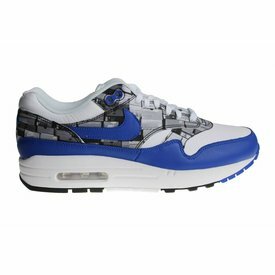 Gorgeous Nike Air Max 1 shoes for men. These men's sneaker have as main colour the sand colour (a colour between beige and bright brown). This Nike Air Max 1 for men is in our opinion the best Air Max 1 of the past time! It is easy to combine with different styles and color clothing. 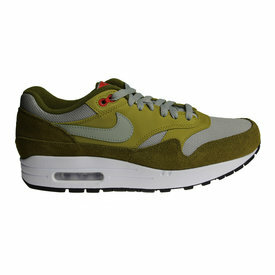 Army green Nike Air Max 1 Premium shoes for men with a white sole and a litle bit black. The upper side is entirely made of suede leather. These Nike Air Max 1 sneakers for men have a luxury appearance because of the used colors: burgundy with navy, white and a off-white sole. Nice Nike Air Max 1 shoes for men. Released in the nice colorway grey with blue and white. It is a very nice model to wear it with jeans! Soft-colored Nike Air Max 1 sneakers for men. These Nike Air Max 1 shoes are this time released in a happy colorway: grey with off-white. Exclusive Nike Air Max 1 Print x Atmos with a (photo) print of Nike boxes at the bottom of the shoes. These sneakers are limited available!